Philly’s own Taney Dragons are THE feel-good story of summer! 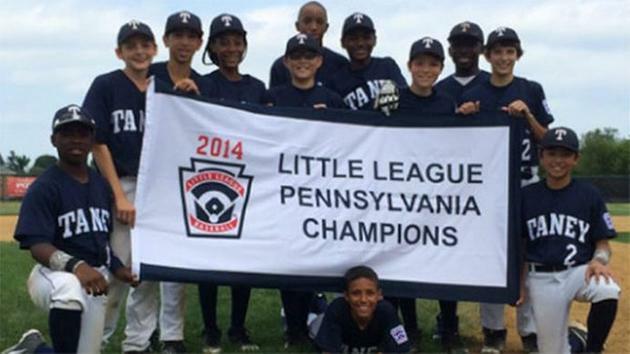 There’s plenty of dreadful news going around these days – no question – but today for a few hours, we’ll be celebrating our own feel-good story of summer, the Taney Dragons: Philly’s first Little League team to win the state championship and who will be on ESPN live today at 11 a.m. to vie for a spot in the regional finals. The Taney Dragons look like the best parts of our city – multiracial, integrated, winning. They reflect our city schools: six of the 12 players are District elementary students from McCall, Meredith, Penn Alexander and Masterman. One student is from World Communications Charter. One of Taney’s stars was the only girl among the PA teams and the team was the most racially diverse in the state. You’d think that would be even more cause for celebration but along the way, they’ve faced hateful and ignorant racist and sexist attitudes as a result. Thank you Taney Dragons for bringing us the true meaning of sportsmanship, love for a game, and pride for Philly. We’re all rooting for you! Well said Helen. World Series bound I hope!! !